Donate, Don't Waste supports students moving out of residences or rented houses and helps you to recycle and pass on as much as possible to reduce the tonnes of stuff that gets binned each year. PLEASE NOTE - NO SHARP KNIVES OR GLASS PLEASE, FOR SAFETY REASONS. We'll take almost anything else though, check these pages for more details, and thank you in advance! If you’re a Hallam student, head on over to hallamstudentsunion.com/donatedontwaste for info about where to donate and where to collect your Donate, Don’t Waste packs. 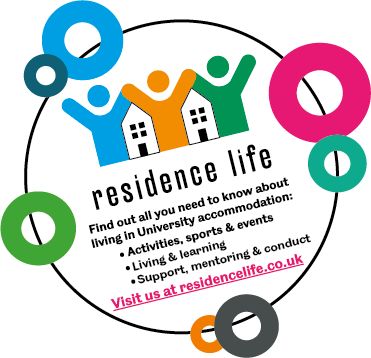 You can pick up info leaflets from the SU, the Student Advice Centre, the Residences and propertywithUS. At key moving out times, the University of Sheffield runs Donate, Don’t Waste at the residences to help you donate unwanted items. Bag up your donations and take your items to your nearest donation point. There are loads around the residences. Check out the map to find your nearest one. Take any knives and sharp objects to the secure blue bins in The Edge, The Ridge common room. Please do not donate TVs, pillows or glasses. Living in privately rented accommodation? British Heart Foundation collection points have been distributed throughout the main areas of student homes and you can find their location on our map. If you have any good quality clothes, books, CDs, DVDs and small electrical items to dispose of, you can donate them to the British Heart Foundation using either official bags or any sturdy plastic bags. You can collect these bags from your Students’ Union or University accommodation service. Then take the bags to one of the many designated DONATE points shown on the map. Anything you can’t reuse, recycle or donate at the end of the year can be placed in one of the council’s red sacks. Anything in these will be incinerated by the council, so they are a LAST RESORT. If your house appears on one of the roads marked by a black line on our map, place your filled red sacks out for collection on the dates that will be publicised at the end fo the year. Red sacks need to be carefully filled and placed for collection on the kerbside between these dates and the council will remove them within 48 hours. If you live in an area not highlighted on the map, please place your red sacks out for collection next to your black bin on its scheduled collection day between these dates. Remember the mantra: Reduce, Reuse, Recycle! Don't chuck your non-perishable food out at the end of term / next summer because it can help feed people who are struggling. In Summer 2016, Sheffield students just like you donated an amazing 3,000 items of food to local food banks!